BEAST IN BLACK ANNOUNCE NEW DRUMMER AHEAD OF NEXT WEEKS TOUR WITH RHAPSODY! Beast in Black introduces new drummer Atte Palokangas ahead of tour with RHAPSODY which kicks off next week! Up and coming metallers BEAST IN BLACK are about to perform their very first headline shows this weekend – and both of them are already sold out! 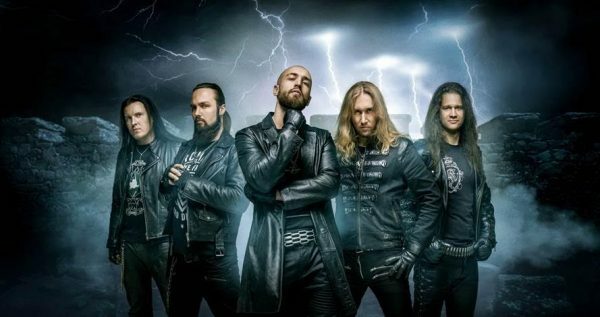 But these concerts are just the beginning of a promising 2018 for the band featuring ex-BATTLE BEAST guitarist Anton Kabanen – on Saturday, February 17th the band will kick off their European run with Italian symphonic metal legends RHAPSODY, before heading to Japan and then playing several European summer festivals. Additionally, BEAST IN BLACK are pleased to announce that their new permanent drummer is Atte Palokangas. He has been touring with the band since the end of 2017 and is a worthy successor for former drummer Sami Hänninen who left the band recently.